Edith Cavell was born on December 4, 1865, in Norwich, Norfolk, England. After returning to England from a stint as a governess in Brussels, Edith took up nursing after caring for her seriously ill father. She held several positions at home before being offered a job as head matron of the Berkendael Medical Institute in Brussels in 1907. In any event, Edith’s family begged her to remain at home, but Edith believed her duty was to return to the hospital in Brussels. This did not stop Edith from helping Allied soldiers escape from the clutches of the Germans. She would harbor them for a time while their ultimate escape was planned out and guides found to safely get them out of the country. Edith reportedly had as many as 35 escapees hidden at one time and all total helped an estimated 200 escape. By 1915, the Germans began to suspect someone at the hospital was helping Allied agents avoid capture. They also had been tipped off about Nurse Cavell’s sympathies. Edith’s friends warned her that she was under suspicion, but she didn’t stop. Almost inevitably, Cavell was arrested on August 5, 1915 by the German Secret Police. Cavell ultimately confessed, pretty much signing her death warrant. Her lawyer pled her case eloquently, stating she had only acted out of compassion for her fellow man and politics had never swayed her actions. Whether this was true or not (recent evidence purports that the soldiers Edith helped actually were carrying intelligence, and that she herself may have been recruited by the British Secret Intelligence Service), the Germans were not to be swayed. 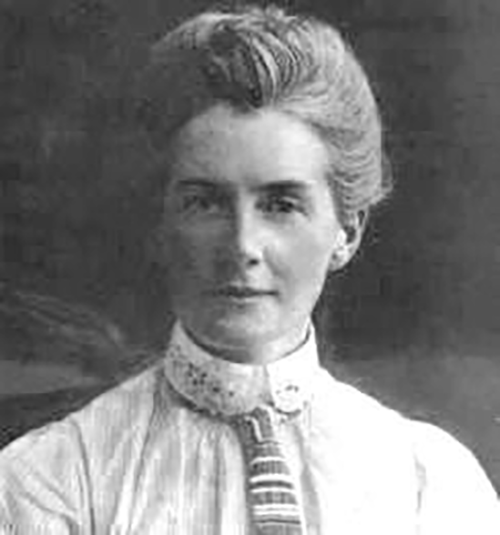 Cavell was to be executed for treason, despite various political appeals by Allied and neutral countries to save her. After the war, Cavell’s body was exhumed and buried in her hometown of Norwich. A statue in her honor was erected in London’s Trafalgar Square. Is there recent contention that the assassination of the archduke was not a cause of WWI? No one may have cared at the time but it certainly is taken seriously by every history of the war I’ve ever heard.